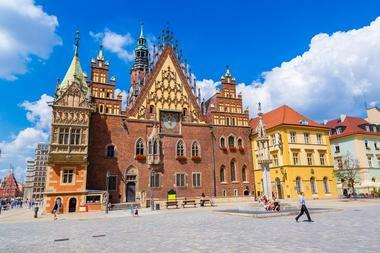 With 14 UNESCO World Heritage Sites, medieval castles, war museums, brilliant natural beauty from the mountains to the beaches, and a vibrant culinary scene, Poland delivers great vacation value. 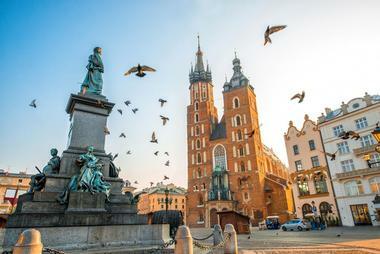 Whether it's the glitz and glam of modern Warsaw with its dazzling night life that you crave or the quiet, Old World charm and history of Kraków that you seek, there is a place that will resonate with your vacation goals in Poland. 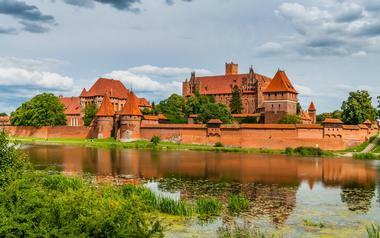 Here are the best things to do in Poland. Wawel Castle is an ancient historical residence and a modern museum that has weathered a tumultuous and international history. Stroll down the arcaded galleries surrounding the building to see the close artistic relationship that the castle's occupants retained with Italy. 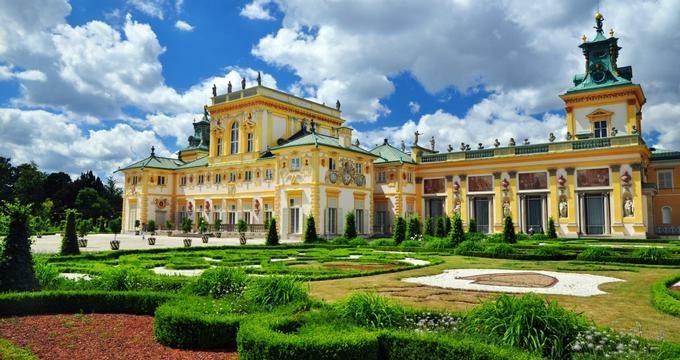 The airy interior features dazzling state rooms to private apartments hung with priceless tapestries, historic artifacts like the Szczerbiec coronation sword, and many renowned paintings and sculptures. In the crown treasury and armory are diplomatic gifts and royal bequests that survived the Prussian occupation of the castle and are on display for visitors to admire. One of the greatest architectural achievements of the 20th century, visitors flock to admire Centennial Hall's unconventional construction. Aptly named to commemorate the 100th anniversary of the Battle of Leipzig, won by the anti-French coalition against Napoleon Bonaparte, this monumental building was designed by Max Berg. 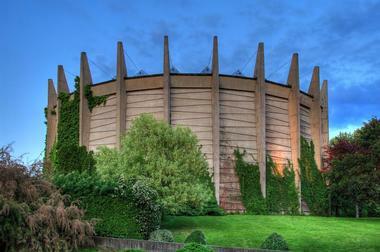 Constructed with the 20th century's new technology of reinforced concrete, this exhibition hall can fit 10,000 people. Its 2006 induction onto the UNESCO World Heritage List elevated it to one of the most desirable event venues in the world. Besides gazing at its otherworldly beauty, visitors can attend one of the many rotating international cultural exhibitions, sporting events, congresses, or conferences it hosts. It is people who shape the world through their creative thinking, and at the Copernicus Science Center one has the freedom to observe, experiment, ask questions, and seek answers. Dating back to 2010, this relatively new center of thought gives a permanent home to Warsaw's annual Science Festival and Science Picnic. With the fixed settlement of these events, visitors can now play with light refraction, test high voltages, gaze at a replica of our solar system in the planetarium, or visit one of the rotating exhibitions. The only requirement is to try and see the world from a different perspective - just like Copernicus would have wanted. This shrine became the personal pilgrimage site of Pope John Paul II, where he welcomed debate and meditation on both religious and secular topics. A place of learning, Jasna Gora houses two libraries with texts from the 15th century to modern day, and many of the archives are open to the public for research. In addition to a large repertoire of literature, the shrine also houses what is, according to legend, the oldest image of the Virgin Mary. Said to be painted during her lifetime, Mary's peering gaze in this image has attracted curious scholars and devout pilgrims to the site for hundreds of years. 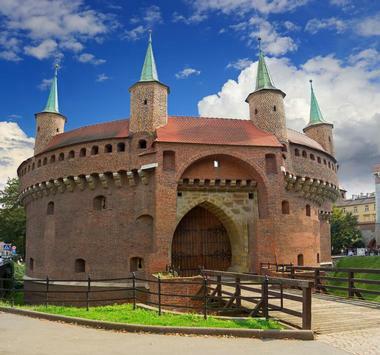 Originally erected in the 15th century as fortification for the city of Krakow, the Barbican stands today as a museum of history and a monument to defense architecture. Visitors who walk through its Porta Gloriae (Gate of Glory) enter through a gate that welcomed centuries of kings and foreign diplomats. Whether visitors tour the battlements to admire ancient engineering or go indoors for a more conventional historical exhibition, the Barbican is impressive for both its history and its scale. Experience the collision of modernity and history within the fortified walls of this museum that is an unusual monument to both art and war. 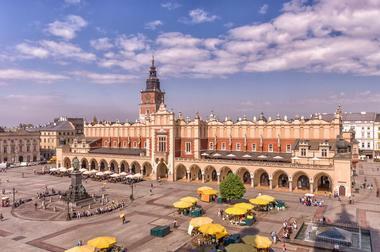 Due to its central location and architectural beauty, the first floor of Krakow's 13th-century Cloth Hall became the inaugural seat of the National Museum of Krakow in 1879. Since its conversion to a museum, the Cloth Hall has expanded its art gallery repertoire to cover the 12th century to the modern day. There is even a separate gallery for Polish art from the 12th to 18th centuries. Today, the overall layout of the Renaissance-style building reflects a 19th-century gallery, where visitors wander through portraiture and sculpture as if it were a crowd so that they are able to interact with the pieces from every angle. 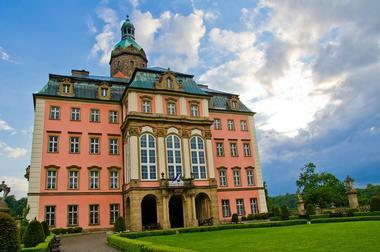 Nestled in a picturesque location amid an old-wood forest, Ksiaz Castle has passed from owner to owner, changing its nationalistic allegiances in the process. Its colorful spires and extensive grounds house an array of artworks, which were returned only thanks to a national initiative that aims at restoring the treasures lost during Nazi occupation. Some of the castle's most unusual holdings can be found in the Palm House, a large indoor garden with more than 250 species dating from the early 20th century. In addition, there are various exotic greenhouses on the grounds. One is decorated in the Japanese style and contains a timeless bonsai exhibition. The former summertime residence of King August, the grounds attached to the castle are filled with formal promenades that harmoniously blend with the natural surroundings of the area. The expansive grounds can be viewed in morsels as they are divided into several smaller themed gardens, including the Royal Garden, the Romantic Garden, the Modernist Garden, and the Chinese Garden. Visitors meandering through the grounds should visit the Old Orangery, where the Royal Sculpture Gallery is housed as well as the Royal Theater - one of the few original European 18th-century court theaters. Also, stop off at the White Pavilion, where the King's Collection of Prints is displayed. If guests pass through the gardens in the summertime, it is highly recommended that they enjoy a Chopin recital. The highest building in Poland, this 44-story palace boasts Europe's second largest clock and an observation deck from which visitors can enjoy a panoramic view of Warsaw. Although begun by Joseph Stalin in 1952, today his mark has been removed from the most visible landmark in the city. Instead, the building serves as office space as well as an open public institution, where residents and tourists alike can benefit from concerts, film screenings, theaters, libraries, and sports clubs as well as the resident scientific institution, the Polish Academy of Sciences. 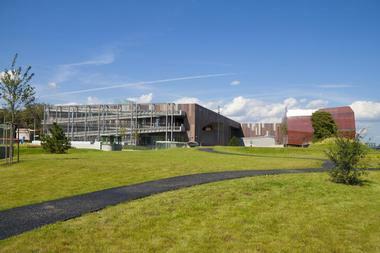 There are also two museums located within the building, namely the Museum of Evolution and the Museum of Technology. With a collection of over 89,000 objects, the Polish Army Museum offers a comprehensive historical overview of Poland's military. With firearms, blade weapons, and soldiers' uniforms and awards on display, taking a turn around these facilities is like watching the memories of a nation unfold before you. 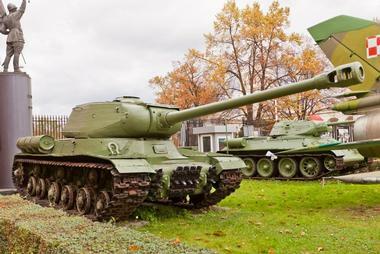 Visitors may examine the tanks from the Eastern Front of World War II or try on a set of medieval armor. History enthusiasts can also dive deeper into the museum's militaristic archives by attending one of the lessons offered on chosen pieces from the collection. The museum also operates an archival library and offers specialized workshops on the conservation of metal, wood, paint, leather, and fabrics. 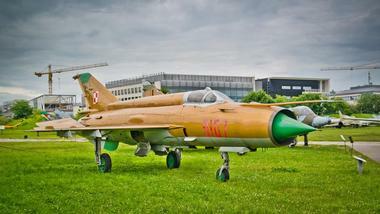 Nestled on a small piece of land previously used as the military airport Rakowice-Czyzyny, this museum is comprised of an outdoor airstrip, an airplane hangar, and old garage facilities. Within its unique layout, the museum offers visitors a large collection of planes, helicopter, gliders, and aircraft engines. Visitors can walk under the wings of a World War II fighter jet or rest in the shadow of a glider that predated the Wright brothers. With opportunities to climb up and inspect the differences between engines as well as watch modern day trick planes in action, the aviation museum is a great exhibition for the whole family. A painting measuring 15 x 114 meters, this depiction of the victorious Battle of Raclawice is the oldest and only example of a panorama painting in Poland. Conceived to commemorate the 100th anniversary of the battle fought to defend Polish independence, this enormous panorama was painted by Jan Styka. With painstaking effort, the painter successfully combined perspective and technical effects to create the illusion that the viewer is at the center of the 18th century battle. After seeing the painting, visitors can learn more by stepping out into the adjacent small rotunda to discover the historical context of the Battle of Raclawice and view uniforms and weapons from the period. 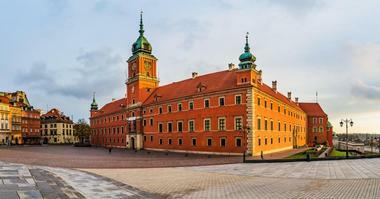 Destroyed during World War II, the Royal Castle in Warsaw was reconstructed in 1974, at which point it was dedicated to the arts and opened to the public. As visitors walk the halls and gaze at the ornate, royal rooms, they'll take note of the beauty filling the interior of the castle. With an unusual collection of oriental carpets, the paintings of Rembrandt, and the interior of Prince Joseph Poniatowski's society salon, this ancient seat of Polish power begs to be admired. Also, the Royal Library housed within the castle is worthy of a look. Its impressive collection of books can even rival the extensive art collection that adorns the castle's walls. St. Mary's Basilica was begun as a Romanesque church in the late 13th century, but over the centuries has evolved into a unique conglomeration of styles. One of the most noteworthy pieces is the altar, which was sculpted by Veit Stoss and is considered a Gothic masterpiece. Also unique are the basilica's stained-glass windows, although only three of the original medieval windows have been preserved. The rest are from the 19th century. Visitors should look carefully while wandering up and down the nave to admire the overlapping styles of centuries of architecture. Adventurous tourists can climb the bell towers to see the four oldest liturgical bells from medieval Poland. 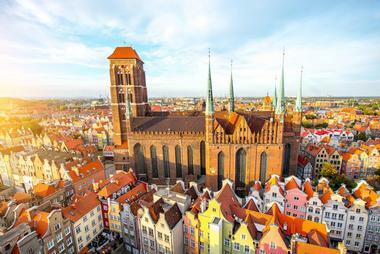 Often called the "crown of Gdansk," St. Mary's church was only recently promoted to the rank of minor basilica. However, even before its promotion by Pope Paul VI in 1965, the house of worship had a claim to fame as Europe's largest church built of brick. Begun in 1343, it was built in stages over 159 years. When it was completed in 1502, the church revealed a surprisingly airy interior with 27 free-standing pillars that support its sloping, vaulted ceilings and crystal adornments. Today, the proceeds from each ticket purchased to admire this impressive structure is earmarked to be put toward the continued conservation of the church for future generations. A picturesque church nestled in the countryside of Poland, this house of worship is an unusual import from the snowy Norwegian tundra. 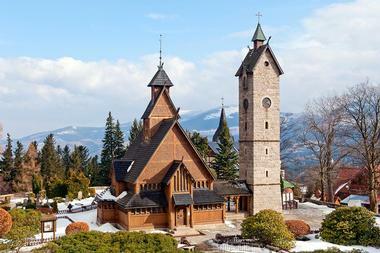 Purchased by Prussian King Frederick William IV, this little church was transferred from the Vang region of Norway and re-erected in 1842 in the Polish mountains. A compact wooden structure, its size does not seem to affect its musical program. 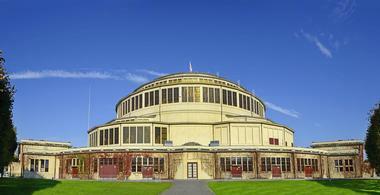 Throughout the year visitors may attend organ concerts, chamber music concerts, gong concerts, and choir concerts. When crossing the threshold, a glance above the door will reveal the runic inscription N 83, which identifies one of the carpenters who shaped the original façade. 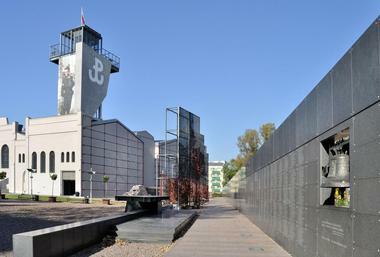 The Warsaw Rising Museum was opened as a tribute to Warsaw's residents who fought and died for the independence of Poland. To help visitors better understand the catalysts behind the Uprising, the museum strives to translate the terror and oppression that everyday residents experienced under Nazi occupation. With over 1,500 photographs, film clips, and audio recordings, visitors are guided through the story of the Rising, its climax, and conclusion when the insurgents left Warsaw. In addition to the Uprising, the museum continues through history to examine the effects of the Allied liberation and illuminate the realities of the post-war years in Warsaw under the Communist regime. 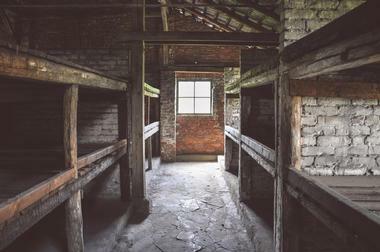 The infamous histories of Auschwitz and Birkenau are well known to many. But that does not mean that this vast educational archive can be overlooked as a tourist destination when visiting Poland. Created just after the war in 1947, this authentic memorial comprises the real concentration camps that existed during Nazi Germany, where 1.1 million men, women, and children lost their lives. It is impossible to comprehend the magnitude of the devastation that still lingers within the grounds. However, it is important to visit to understand the true cost that these camps exacted on the generations that followed their closure. Today's modern Wawel Cathedral is the latest incarnation in a long series of architectural updates dating back to the year 1000. However, all these unique stylistic eras are united by the sonorous congruity of the cathedral's music. For over 1000 years, Wawel Cathedral has been renowned for its emphasis on liturgical music. Whether it is the singing of psalms by the parishioners or the tolling of its 11 bells, there is always music humming. Experience the majesty of the cathedral from which Pope John Paul II came. Dedicated to St. Stanislaus, the patron saint of a united and independent Polish State, this architectural wonder holds a special place for all Poles who pass through its doors. 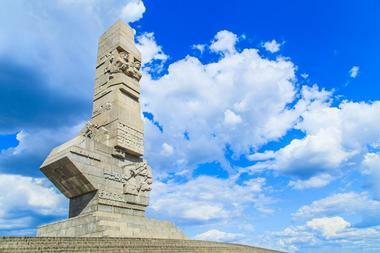 Westerplatte is a peninsula located on the harbor of the Baltic Sea and became known as the site of the first battle of the European theater during World War II. Before that, however, the town was a resort destination with its cold beaches, forested parks, and ocean-side bath complexes attracting tourists from around central Europe. Today, the port hearkens back to its days as a formal health spa. Of course, the ruins of the defenders' barracks and guardhouses can be toured, but visitors can also attend operas, ballets, and theater pieces or take a water tram to view the red brick profile of the city. 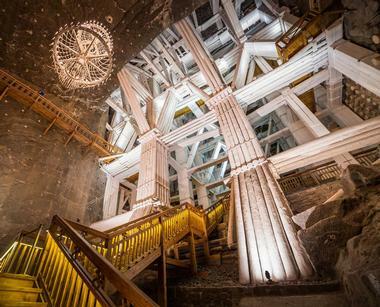 More of an underground metropolis than a mine, the Wieliczka Salt Mines combine the work of tens of generations of miners in their extensive infrastructure. Deep underground, the mine provides not only rich salt deposits and a view of one of the only twelve objects on the UNESCO's World Cultural and Natural Heritage List, but also a splendid underground venue where concerts and theater performances are regularly given. There is even a health resort, where visitors can stay and benefit from a broad range of salt-based treatments. A popular activity is to take a 3-km walking tour of the mine's glistening corridors. On the way, there will be saline lakes, majestic timber constructions, statues sculpted in salt, and the famous pearlite Chapel of St. King. 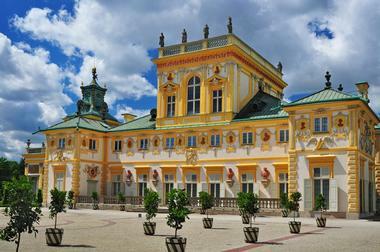 The palace of King Jan III, a baroque residence, dates to 1677. With its Rococo style, extensive art collection, formal gardens, and acres of parkland, this stately home is a decorous work of art. With an art collection containing artifacts from ancient Rome though the European masters of the 17th century, the castle is a true commemoration of the warrior-king's outstanding personality. A king with a keen interest in books, art, and history, King Jan III left his stamp on the rich interior and exterior of this palace, which can be seen in the detailing of its façade and the motifs, which draw on Christian, Greek, and Roman traditions. The City Museum comprises six sections, including the Historical Museum (with its branches the Military Museum and the Museum of Cemetery Art), the Archaeological Museum, the Theater Museum, the Museum of Medallic Art, and Museum of Bourgeois Art. Four of these sections are architectural landmarks, including the Old Town Hall, which is the center for the Museum of Bourgeois Art and the youngest of all the city museums. Containing a carefully selected compilation of objects important to the region, the Old Town Hall holds paintings, drawings, and graphics from 19th to 20th-century Wroclaw. In addition, there are exhibits that include handicrafts and goldsmith objects as well as sacra and secular accessories. 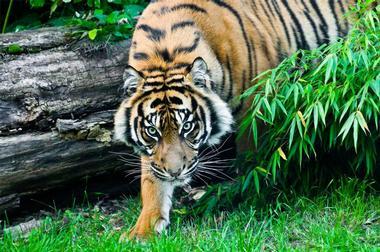 Over 150 years old, the zoo is the oldest in Poland. Dedicated to the active rescue of endangered species, the zoo keeps the largest variety of species in Poland with up to 1,100 at any time on the zoo grounds. In addition, the zoo contains Poland's first oceanarium, with roughly 5,000 marine species, as well as manatees, Nile hippos, aardvarks, naked mole-rats, and dozens of fish and birds. 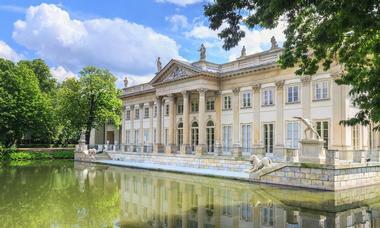 There is also an Odrarium, which is an unusual exhibition dedicated to Polish flora and fauna. Visitors who want something a little more exotic can catch the feeding of one of the many endangered species that call this zoo home.